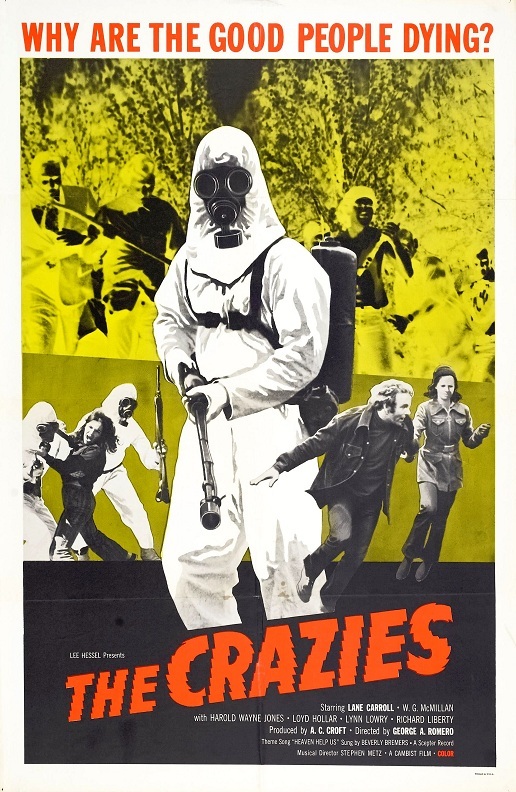 THE CRAZIES (1973 version): The Shape Of Zombie Films To Come – Schlockmania! 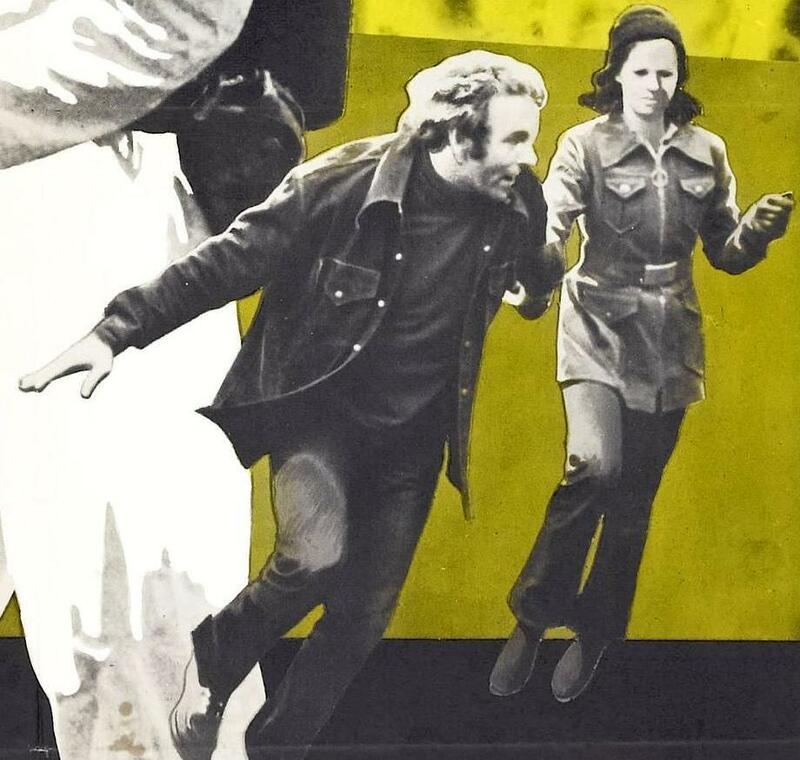 In 1972, George Romero was at a crossroads. He’d made history the first time out of the gate with Night of The Living Dead but an unscrupulous distributor ensured that he and his investors never saw a dime of its theatrical profits. Even worse, his follow up films There’s Always Vanilla and Season Of The Witch failed to connect and were seldom seen due to spotty distribution. The ad company he had founded, The Latent Image, had dissolved in a series of lawsuits and Romero found himself deep in debt. His response was to do what any filmmaker would do in this situation – make another movie. 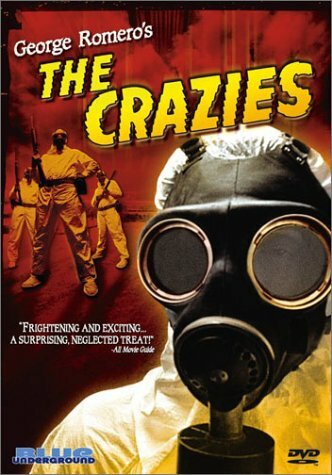 This time it was The Crazies, a combination thriller/horror flick/political commentary. The film goes for the audience’s throat from its opening scene, a gut-wrenching sequence where two kids discover their father has killed their mother and look on in horror as he burns the house down. Firefighters David (W.M. MacMillan) and Clank (Harold Wayne Johns) are called in to work on the rescue effort as David’s fiancé Judy (Lane Carroll) goes to the doctor’s office to help with the injured. None of them know the terrible cause of this mayhem: a downed military plane has spilled a biological weapon into the town’s water supply and anyone infected by it will either become catatonic or homicidally insane. Unfortunately, the trio of heroes soon find themselves surrounded by masked, bio-suited soldiers who are rounding up the townspeople without explanation. They break away with fellow refugees Artie (Richard Liberty) and his daughter Kathie (Lynn Lowry) and try to escape the military-controlled zone. Meanwhile, a team of hastily recruited military personnel attempt to contain and defuse the situation: Colonel Peckem (Lloyd Hollar) tries his best to manage an unmanageable situation as Dr. Watts (Richard France) tries to find an antidote without his notes and under primitive conditions. This is an excellent, multifaceted setup for a film and Romero goes after it with both guns blazing. The film wastes no time in jolting the viewer and packs plenty of setpieces (of both the action and suspense varieties) into the running time. The downside of The Crazies is that Romero is as outmatched as the film’s ragtag group of heroes. The film is simply too ambitious for its means. The trouble starts with the script, which could have used some editing. As fast-paced as it frequently is, the script has an overabundance of major characters that dilute the narrative focus. 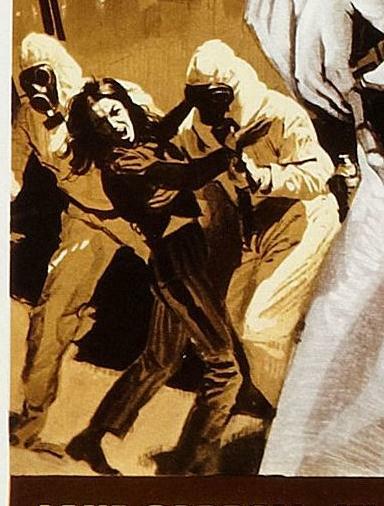 Also, the scenes with the military characters are repetitive in both the dramatic and thematic sense: every time Romero cuts back to them, they grumble about the same problems (miscommunication, disorganization, mindless protocols) to communicate the same criticisms of military inhumanity and inefficiency. After the first few instances, this element of the film has nowhere to go. The Crazies is also hurt by the limitations of its dramatic resources, with an amateur cast that sometimes isn’t up for the task. MacMillan makes a decent hero but Johns tends towards a one-note blankness as his partner, a limitation that becomes annoying when the plot requires us to guess whether he is or isn’t infected. Lowry and Liberty register the strongest of the escapees: Lowry’s final scene is perhaps the film’s best moment. On the military side, Hollar acquits himself well and France is a likeably sarcastic scene-stealer. However, a lot of the other townspeople roles are filled with well-meaning amateurs whose community-theater style detracts from the film’s attempts at gritty realism (this is really felt in the few scenes where infected townspeople are being treated in an ad-hoc clinic). However, The Crazies is never less than watchable despite these flaws. Romero and crew make the most of their $225,000 budget, with cinematographer Bill Hinzmann getting maximum production value from the Pennsylvania locations. Romero stages a number of nice sequences that anticipate the blend of horror and action he’d perfect in Dawn Of Th e Dead: the best is a creepy scene where soldiers try to evacuate a home where an entire family, from kids to grandma, has been infected with the toxin. It’s also worth noting that Romero’s editing (always a strength of his early work) is top-notch. He cleverly weaves multiple stationary camera setups into wonderfully kinetic sequences and give the film a jittery rhythm that keeps its tension level high. Ultimately, The Crazies is best viewed as a dry run for the mixture of action, horror, dark humor and commentary Romero would achieve in Dawn Of The Dead and Day Of The Dead. It wasn’t the hit Romero wanted at the time but it was an important step forward in his directing style and ambitions – and this ensures it remains of historical importance for his fans. Even if this is not perfect, I prefer it to the remake, made with way more money but with no balls, just the run of the mill “infected” movie of this days. This has some ideas that are still disturbing. Interesting… you’ll be seeing my review of the remake on Friday. Odd as it may sound, I think the remake is the more successful of the two versions from a storytelling standpoint.